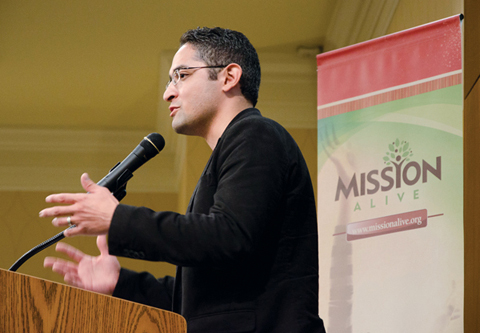 This year, Mission Alive hosted three of the classes at the Pepperdine Lectureships. For the next three weeks, starting today, we will be sharing with you recordings from all three classes, in case you missed them this year or you wanted to hear them again. The first class Mission Alive hosted was Keep Church Weird: Church as Alternative Community. As an outpost of God’s reign, the church is a counter-culture to the prevailing culture around it, though perhaps in unexpected ways that is good news to those outside the church. This recording discusses how the church embodies an alternative way of life in its North American neighborhood. The class was taught by Collin Packer, the preaching minister at Greenville Oaks Church of Christ in Allen, TX and Charles Kiser, the director of training at Mission Alive and a church planter in Dallas, TX. 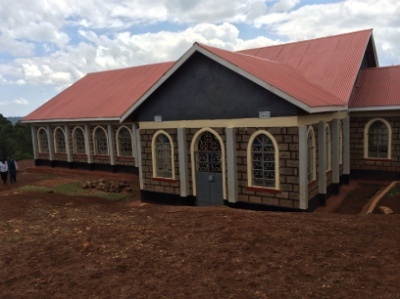 It was a transformative trip – for churches among the Kipsigis of southwest Kenya, for national leaders meeting at the Nairobi Great Commission School – and for me personally. We all felt God’s presence! The purpose of my trip was to give encouragement; greet families (especially those of loved ones who are ill or have spouses who have passed away); visit as many churches (or clusters of churches) as I was able; and to teach 3-day courses at two Bible schools. I returned from this 2½ week trip tired but empowered. 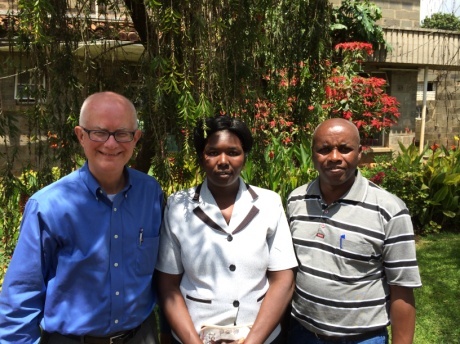 When we left the Kipsigis area of Kenya, where we ministered for thirteen years, there were 100 churches. Today there are 450! This growth has not simply been numerical. These churches have also grown spiritually – using disciple-making and mission to form new communities and growing existing ones. High points of the trip were visiting elders who helped start the churches, praying over leaders who were seriously ill, and greeting and giving condolences and memories to the families of leaders who had passed away. 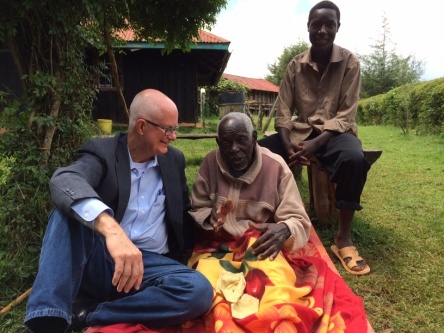 A special joy was sharing time with Matayo Matwek, a leader now 101 years of age, weak in body, but strong in spirit and testimony. Once upon a time he cast vision and encouraged Christians in his home area. He partnered with other leaders to build a mighty movement of God in his home area. We shared time with Mary, the widow of David Sambu, who was Chairman of the “Committee” (Board) of Siriat Bible School and prayed for her extended family. I miss David, my African mentor and confidant! Another good friend, Daniel, once worked for me tending my yard and garden and later became the sub-chief in his area. He now is very sick with cancer. I joined with others praying over him and giving finances to pay medical expenses and help his family. I thoroughly enjoyed teaching two 3-day seminars, one in the Kipsigis language at the Siriat Bible School in what I call my “home area” of Kenya, and another in English at the Nairobi Great Commission School for major Kenyan leaders in the capital city. 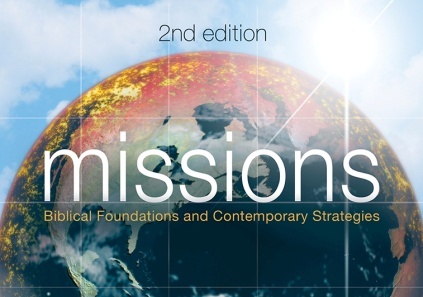 In each seminar I applied sections of the 2nd edition of Missions: Biblical Foundations and Contemporary Strategies to their contexts. I began each section with a teaching time, a time of discussion as a group, followed by discussion and/or prayer in small groups and pairs. The favorite teaching was a parable on “spiritual awakening”—how crawling caterpillars are transformed to become flying butterflies able to both draw nectar and spread pollen. The most important teaching was “how do people of the kingdom of God make decisions.” Attentive listening! Laughter! Confession! Dialogue! Prayers! Worship! Transformation! I visited as many of the churches as I could in the short time that I had. The churches in Konoin are vibrant for the Lord, focused on evangelism, highly respected by the local community, and are growing locally and in other areas where they send evangelists. They give generously to build facilities for their church gatherings and other events but also meet from house to house. A local Christian named Jonathan builds these facilities. Throughout the trip I experienced African hospitality. I stayed in a small two-room house with an outside latrine and shower area on the homestead of my good friends Philip and Irene Chebose. Irene cooked most of my meals, indigenously African and deliciously prepared. They took care of my every need, even warming up the water for my morning sponge bath. It was a joy sharing life with this family! Their son Wycliffe is growing as a preacher and another son Nicholas is learning African sign language so that the Kipgsigis-speaking congregation can connect with the deaf congregation, which also meets in their building—much like the deaf ministry at the Willis Church in Abilene, where I was once served as an elder. Throughout the trip I walked and ministered with David Tonui, Principal of the Nairobi Great Commission School, my son in the faith who once lived with us while completing his Masters in Christian Ministry at ACU. I praise God for how David and I worked synergistically during joint presentations, knowing instinctively how and when to speak and when to remain quiet. It was also a joy to share many meals and trips with both David and his wife Eunice. They illustrate both great hospitality and partnership in the mission of God. They are a rural/urban family—one home in the big city of Nairobi close to the Nairobi Great Commission School where two of their children work and study and another in a village near Siriat Bible School in southwestern Kenya, where the two younger children have been in school. In many ways I became part of both the Chebose and Tonui families during my stay in Africa—eating, living, and sharing in close proximity. I was called many years ago to be a missionary in Africa and served there for 14 years. I am energized by being there for a short time! My goal is return every two years to visit the churches and in the process both learn and teach. After each trip I feel that I have received more than I have given. Our prayer and goal is to continue to grow and develop a similar (though culturally different) church planting and renewal movement in North America through Mission Alive. Monday, September 17, was a thrilling evening at the ACU Summit—our annual Celebration Dinner describing God’s work in Mission Alive. We were blessed with a full house, just over 120 participants who heard stories of church planting, church renewal, and conversion. Sergio Rizo spoke about family ministry in neighborhood contexts while beginning Reunion Christian Community in downtown Nashville. For example, sometimes Sergio, his wife Jackie and their four children plan “sneak attacks” to bless others. On those nights, they express God’s nature by secretly helping people. One evening during Easter, they hid Easter eggs in three different yards. Then they taped a sign to each front door that read, “You’ve been egged! The Rizo kids have hidden 12 eggs in your yard. Enjoy the hunt, but don’t be discouraged when you find the empty egg. It is a simple reminder of Jesus’ empty tomb.” They then rang the doorbell and dashed to the van. Afterward, they were blessed with calls and texts from each family that had been egged. These simple ministries bless both their family and the Reunion Church. My favorite part was seeing Margaret Akachuk’s video testimony describing her journey to become part of the Gentle Road Church of Christ in Regina, Saskatchewan, Canada. I was particularly moved by Margaret’s words: “God saved me from a life of disaster, and I’m willing to give back to the people any way that I can. And I’m very proud to be a member of Gentle Road.” Watch Margaret’s testimony in this video. Tod Vogt, Director of Equipping in Mission Alive, told stories of churches that have been planted over the last seven years. It was apparent that a nation-wide movement of church planting and renewal is developing. Finally, Gailyn and Becky Van Rheenen told the story of Leslie Fry. Leslie is not only a supporter of Mission Alive but also a great encourager. Becky told of her anticipation of letters from home when they lived in Africa. In this same way Gailyn and Becky anticipate opening the letters from Leslie. He invariably includes a word of encouragement indicating that he prays for and follows what God is doing through us. His spirit of encouragement also takes him to Denver to spend time with the church planters and Christians of the Aspen community whom he also supports. 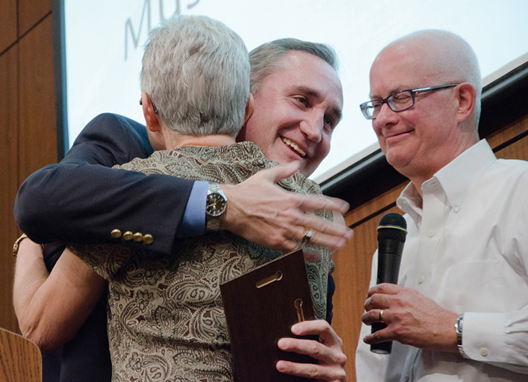 We were honored to present Mission Alive’s annual Mustard Seed Award to Leslie Fry, our Encourager! We give thanks for the stories of God’s work and for all who gathered to hear them. Raise your leadership to another level…with Coach Training. Mission Alive wants to equip leaders to equip their churches. Coach training trains leaders to come alongside church members and help them listen closely to God. Then they help them creatively develop action steps in alignment with what they hear God saying. Like Eric, most of us want to live in alignment with God’s purpose for our life. We want to grow into our calling and use our spiritual gifts to their maximum. Like Eric, we need support. We need help and, like Eric, we need someone who can assist us to be best version of ourselves we can be. Mission Alive trains coaches to walk alongside another person rather than stand above him/her. 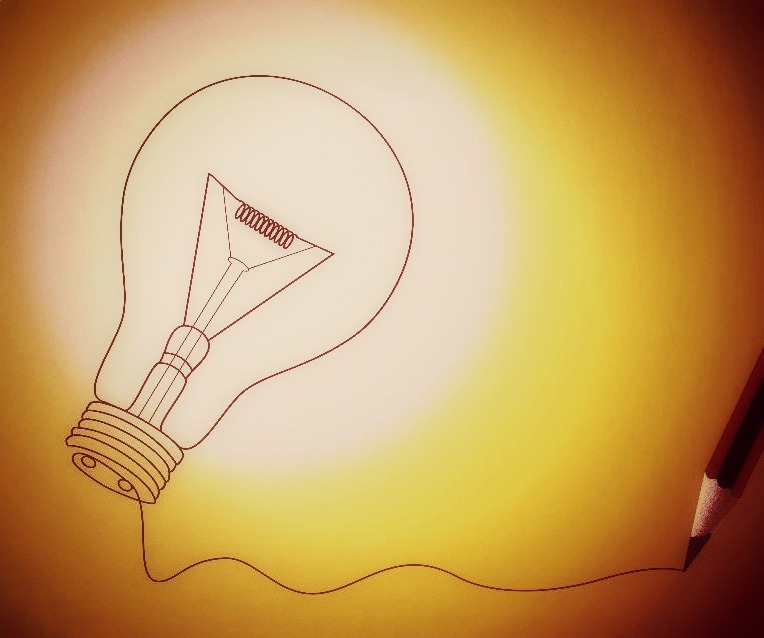 Coaches-in-training learn how to ask transformative questions that help the person they are coaching think outside whatever box they may have around their thinking. They learn how to listen deeply. They learn how to help people see what they have never seen before and do what has previously been too difficult. Coaching will move your leadership to another level. You will listen differently. You will ask different questions. You will see people discover new ways of serving God’s Mission. You will help others become what God gifted them to be. Mission Alive is now registering a new cohort of coaches-in-training. See the Mission Alive website for more details on the coach training process. I am thankful for the many people that God has raised up to serve with us as partners in His mission. They grow with us as we seek to equip kingdom communities on mission with God both in the planting of new churches and the renewal of existing ones. Truly God, who leads us forward in His mission, is faithful! The leadership of Mission Alive is an ever-expanding circle of staff, board, church planters, ReVision church leaders, church leaders in equipping huddles, and those walking with us in areas of equipping/preparing, praying, serving, relating/networking, giving, and healing/transforming. This update focuses on the developing leadership of the Mission Alive Board. For the first seven years of Mission Alive, I have served not only as Executive Director of Mission Alive but also as the Chairman of the Board. I am happy to announce that at a recent board meeting Frank Stepp was selected to serve as the new Chairman, Scott Ferguson as the Vice-Chairman, and Mark Lowe as Secretary. 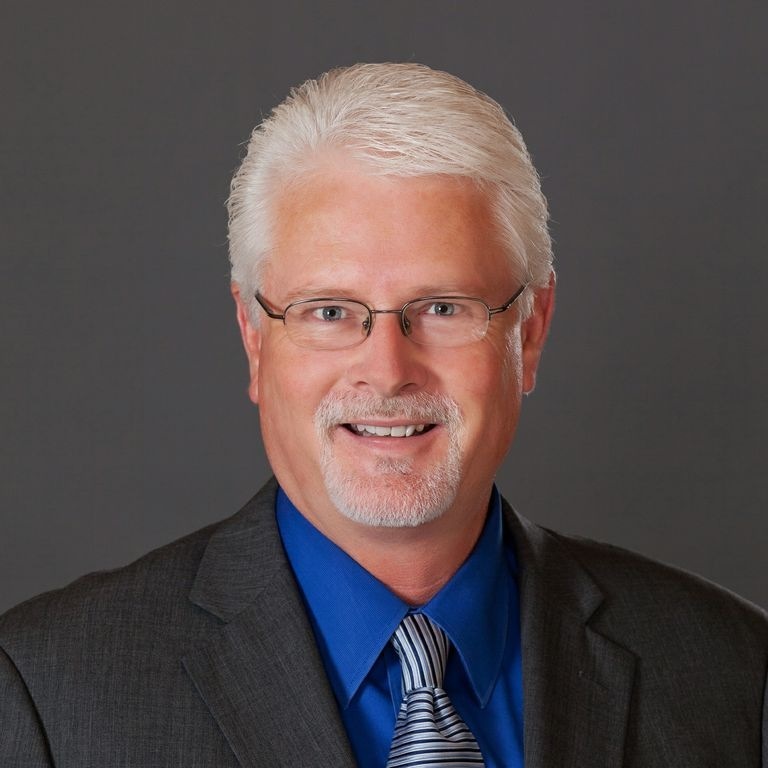 Scott Ferguson is a Vice-President of Cornerstone Real Estate Advisors. He serves as an elder of the Riverside Church of Christ. Scott says, “Working with Mission Alive helps me, in a very small way, be a part of helping the church reach our culture by supporting our men and women who display such commitment in planting churches and living out their lives as an example of God’s Kingdom at work on the earth.” Scott and Frank will work closely together to provide board leadership to Mission Alive. I praise God for our partnership with a board who believes that the key to renewal and church planting is a return to Jesus’ heart for making disciples and multiplying them into missionary leaders.